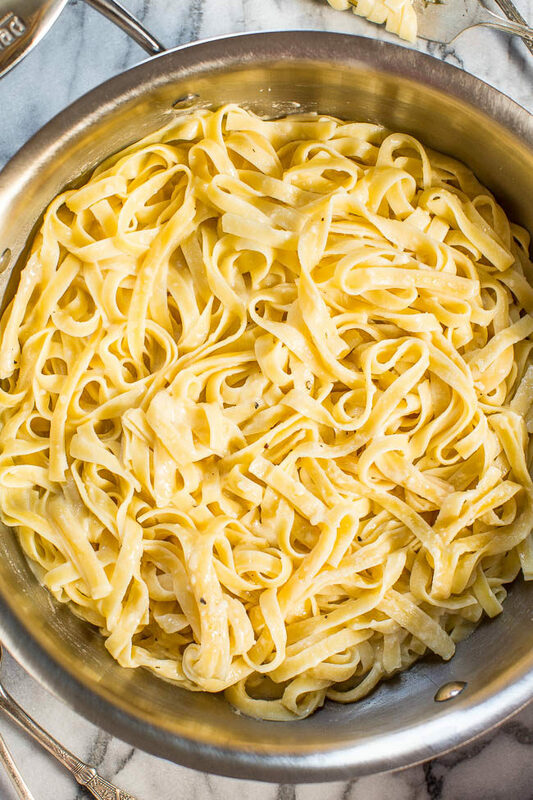 Fettucine alfredo is a dish my family loves but I rarely make it because it can be a caloric lead balloon. It’s easy, ready in 20 minutes, your family will love it, and no one will miss the empty calories. Rather than multiple sticks of butter, eggs, and heavy cream, there’s only one stick of butter and I used Silk Unsweetened Cashewmilk. It’s so irresistibly creamy and thick but with fewer calories than skim milk. I also used it in Easy 30-Minute Stovetop Macaroni and Cheese. Eating more plant-based protein is a great goal and Silk Cashewmilk or Silk Almond Milk are my milks of choice for baking and smoothies. They’re so low in calories and fat, they’re vegan and dairy-free, andI always get impressive-tasting results. It’s the perfect match between tasty and guilt-free. The recipe halves easily but I make it as written and freeze leftovers in single-serve portions and can pull them out and re-heat at a moment’s notice for impromptu school lunches or planned-leftover-dinners. 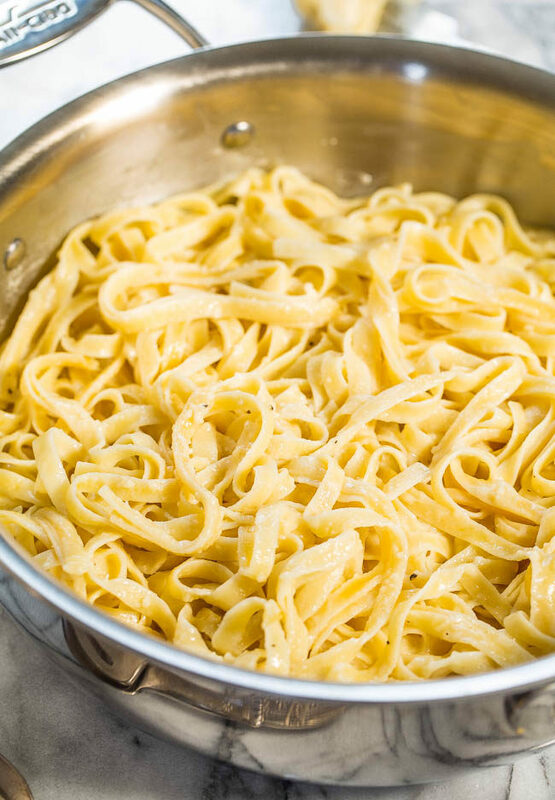 Fettucine alfredo is a dish that can be caloric lead balloon but this version is easy, ready in 20 minutes, your family will love it, and no one will miss the empty calories. Rather than multiple sticks of butter, eggs, and heavy cream, there’s only one stick of butter and I used Silk Unsweetened Cashewmilk. The recipe halves easily but I make it as written and freeze leftovers in single-serve portions and can pull them out and re-heat at a moment’s notice for impromptu school lunches or planned-leftover-dinners. Cook pasta according to package directions, drain while reserving a small bit of pasta cooking liquid; set pasta and liquid aside. To a large skillet, add the butter, milk, and heat over medium-low heat to melt while whisking. Add the salt, pepper, garlic powder, and whisk to incorporate. 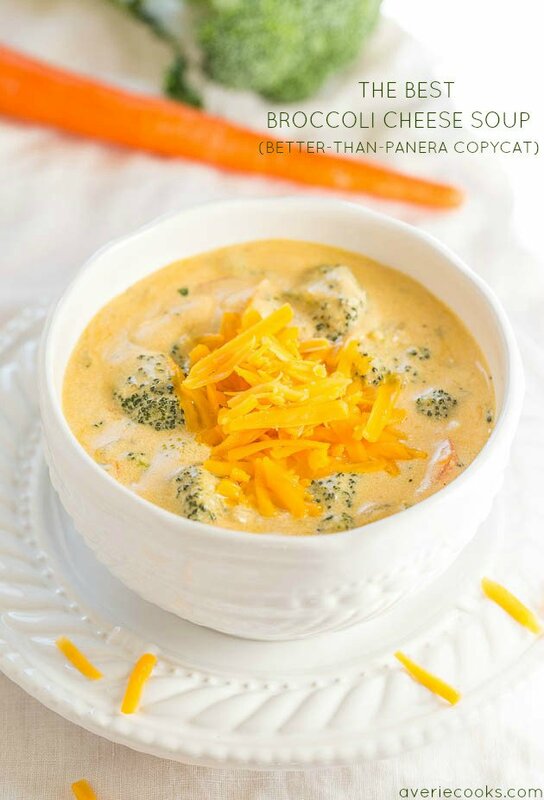 Turn the heat to low, add the cheese, and whisk until melted. Note that parmesan cheese isn’t an ‘easy-melting’ cheese and it’s okay to see tiny clumps. Add the pasta and stir to evenly coat. If necessary add a splash of the reserved pasta cooking water to help coat noodles for easier stirring into the cheese sauce. I haven’t needed to do this, but it’s an option in case. Serve immediately. Recipe is best warm and fresh, but will keep airtight in the fridge for up to 5 days or in the freezer for 4 months. Reheat very gently prior to serving leftovers so cheese doesn’t separate. Easy 30-Minute Stovetop Macaroni and Cheese – Classic mac and cheese the whole family will love! 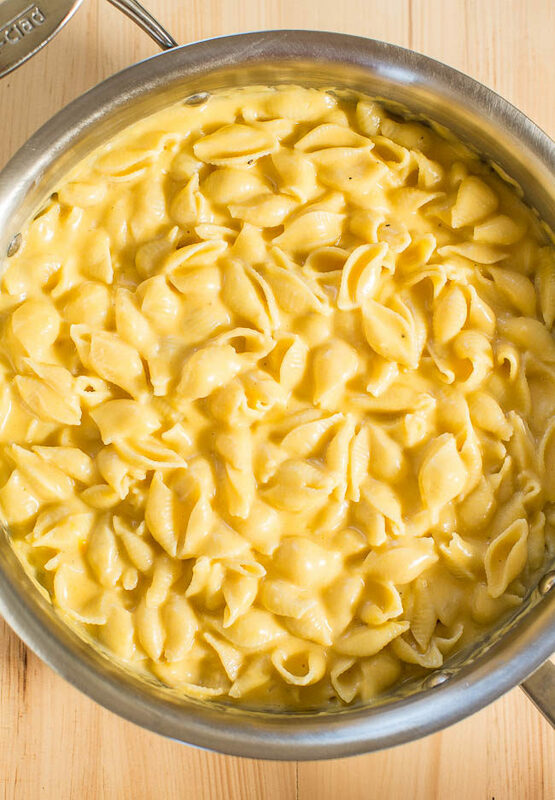 The creamy, cheesy comfort food you crave!! So much better than anything out of a box and just as easy! 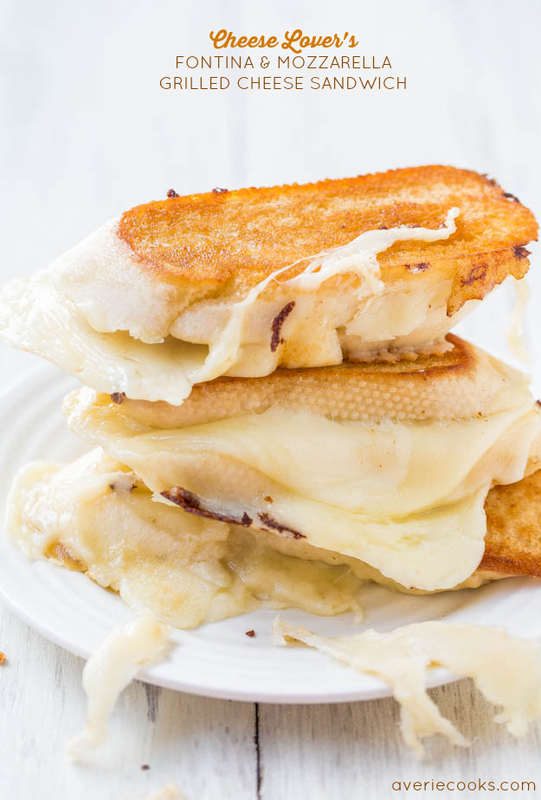 Cheese Lover’s Fontina and Mozzarella Grilled Cheese Sandwich – Warm, gooey comfort food at its finest! Best & cheesiest grilled cheese ever! 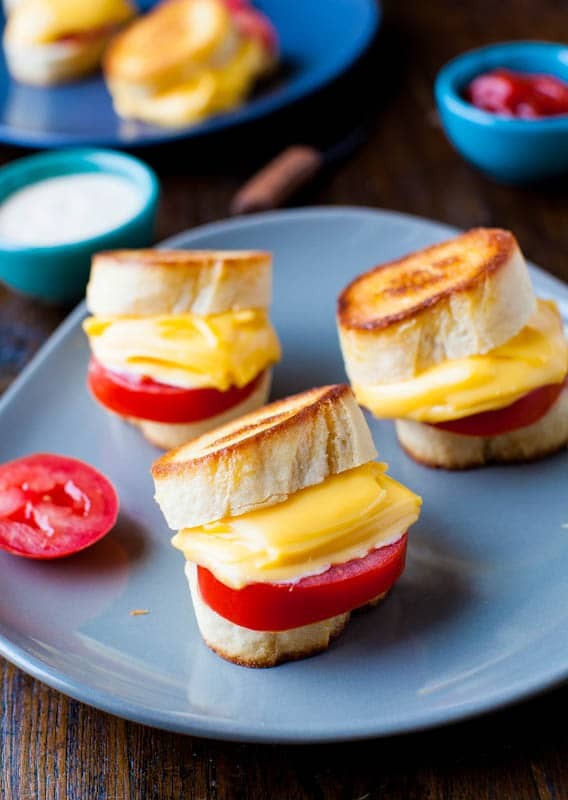 Mini Grilled Cheese and Tomato Sandwiches – Adorable, perfect two-bite party appetizers! 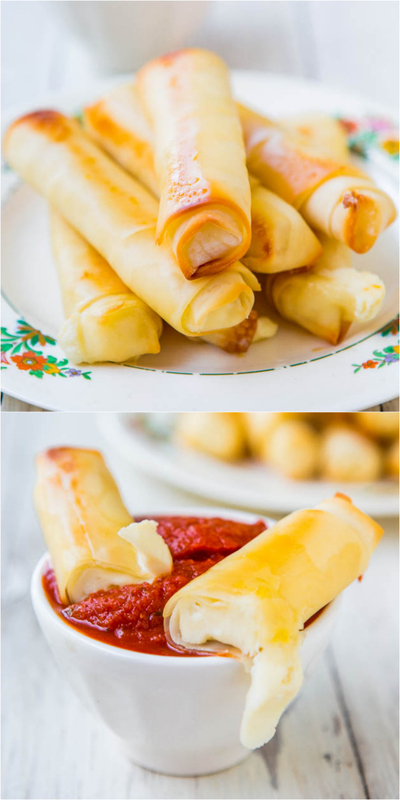 Skinny Two-Ingredient 110-Calorie Mozzarella Cheese Sticks – Comfort food goes skinny so you can still indulge without the bulge! Post brought to you by Silk. The recipe, images, text, and opinions expressed are my own. Sign up for the Silk newsletter here. You’re going to love it when you try it! 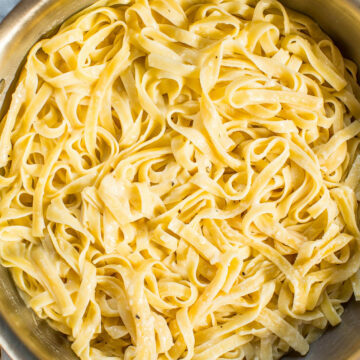 I think fettucine alfredo was one of the first recipes I tinkered around with for substitutions (“light” margarine spread and skim milk back in the fat free 90’s). This looks even better with some real butter and cashew milk! My family loved it and didn’t even know it was lighter until I told them! I haven’t had fettuncine alfredo in ages, but it was one of my favorite dinners growing up. You’re making me want to make some soon!! I’ve had a lot of almond milk in my time, but have been dying to try the cashew milk! I bet it make the creamiest Alfredo ever…which is something I have never had in years due to the calorie bomb. And I can have it so close to bikini season you say? WIN. Pinning! Thanks for pinning and you’ll love the cashewmilk when you try it! Gah I am so loving your savory recipes Averie! Another one on my list!! This looks so creamy and yum! I love a lightened-up pasta dish that doesn’t compromise on flavour!! Pinned. Alfredo with almond milk! 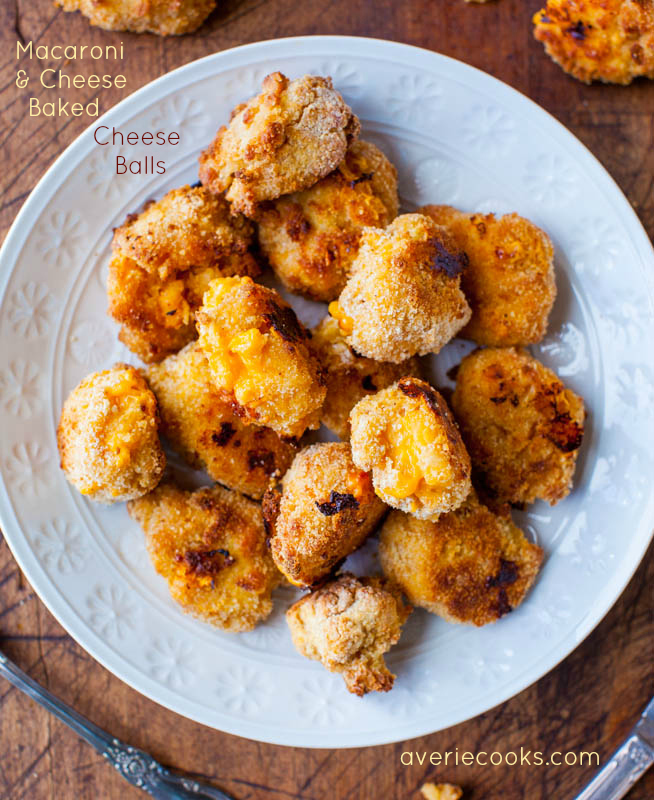 I am so intrigued by this recipe and I can’t wait to try it! And I have all the ingredients to make this. Fettucine alfredo is my weakness. Can’t wait to try this recipe! I have been wanting to try this Cashew milk! I bet it was delicious in this fettunice! Ohhh, is it dinner time yet? This savory dish looks so delicious! Anyone else try this and have their parm congeal into one clump? Yummy. But a big clump. Just add a little more liquid! Sounds like your mixture got a little too dry but it’s an easy fix with more liquid! Thanks so much for the recipe! My husband and I just moved to China and I am trying out recipes I am make here to remind us of home! Parm is so hard to find here and very expensive if you do, so I substituted gouda and it turned out wonderfully! Thanks for trying the recipe and I’m glad it came out great for you with gouda! Great thinking! Love this recipe and I love the addition of cashew milk – I hadn’t tried cashew milk until this recipe. Making this is super easy and yummy! A lighter alfredo definitely makes me feel better knowing it’s not as heavy as some of the other monsters out there that you read about. Thanks for a great recipe! Thanks for trying the recipe and I’m glad it came out great for you! 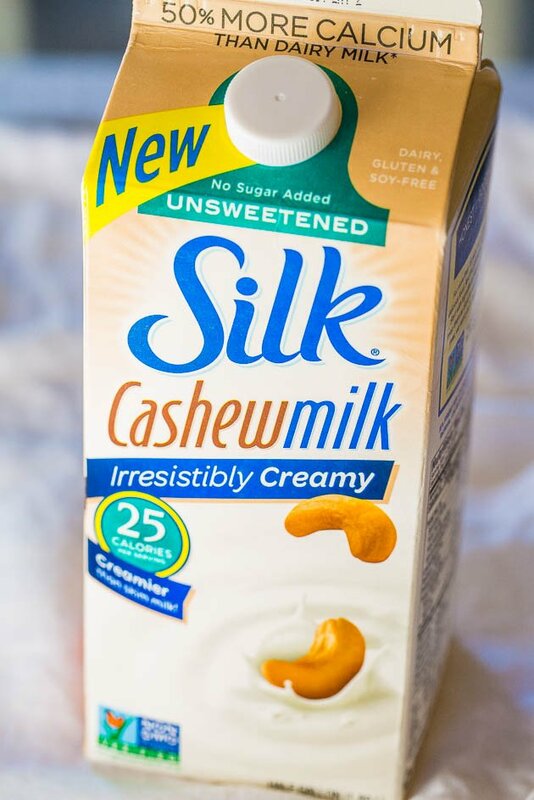 Glad you’re a fan of cashewmilk now, too! Sorry I don’t use metric and only have measured the ingredients the way I wrote them but there are online calculators that can do the conversions for you. All I can say is O.M.G!! This was amazinggg! I added broccoli to mine and a little flour to thicken it up. Delicious! Thanks for sharing this. Thanks for the 5 star review and glad this turned out amazing for you!